We're back hunting with Rob Nye, of Rob Nye's Wilderness Adventures and Canadian Trophy Quest located near the Carrot River area of Northern Saskatchewan. We'll be bowhunting trophy-class bucks from a combination of both baited and unbaited stand locations with some hunts running sunrise to sunset. 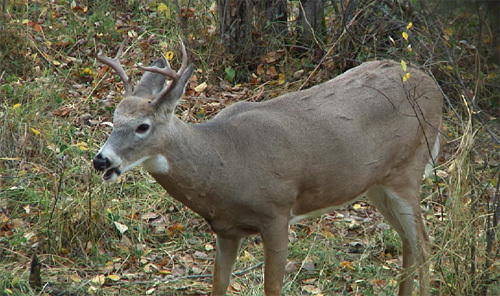 This hunt takes place during the archery season this time. 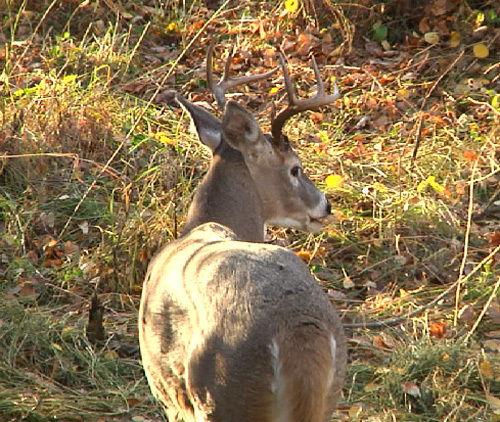 As my other deer hunts we will update this feature LIVE every evening. We may do an occasional mid-day update too so check back often. It is great to be back in Saskatchewan sitting in a treestand. Two years ago I had hunted here the first week of November, this year I'm here a little earlier. The trees are in peak foliage and the weather is far milder than it was in November. 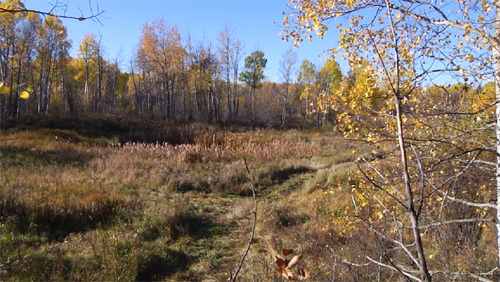 Rob asked me if I wanted to hunt a baited stand or an unbaited stand next to a water hole that bordered a field. I chose the field stand. I had a few does come by but no bucks showed up. The wind turned terrible so I wasn't expecting a lot. For the afternoon we tried a different stand, this one was baited and deep into a spruce forest. There was a fresh rub and the bait was getting hit pretty hard. There is supposed to be a giant buck cruising this area, and by giant the landowner thinks he's around 200. Rob saw him too but only for a second and told me it was "possible" that he was that big. I sat for 6 hours and had two young eights and a couple of does show up. It was a slow day - but still fun. 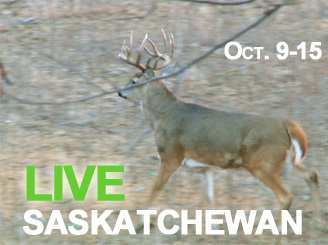 This Live Bowhunt takes place in Northern Saskatchewan with Rob Nye Wilderness Adventures.